The story of The Witcher 2: Assassins of Kings (preorder now) follows Geralt of Rivia through a thoroughly engrossing, mature storyline eventually landing on one of sixteen potential endings. We would like you to choose your own ending featuring Geralt and/or Triss and illustrate it, photoshop it or even draw in crayons, but it must involve a famous moment in history. Best entry wins a brand spanking new Alienware Laptop! May the most creative and entertaining entry win! Good luck all! 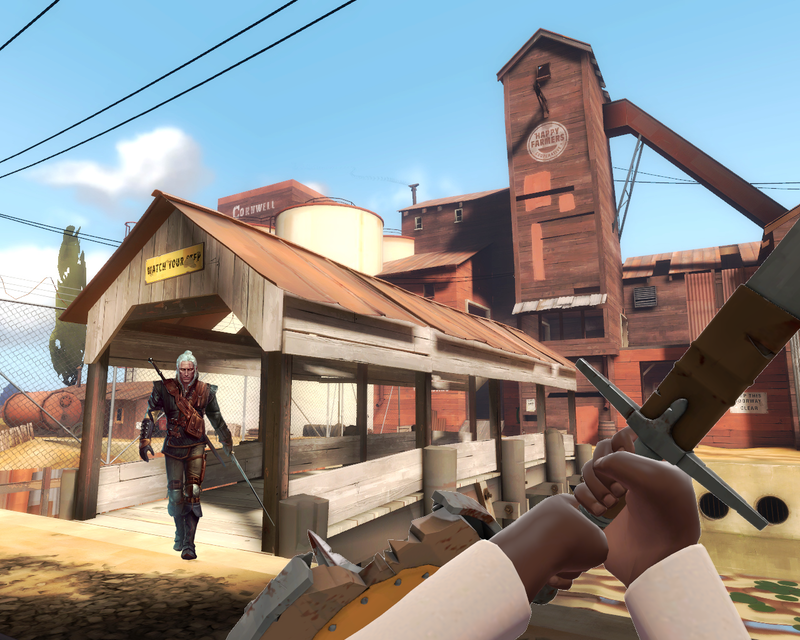 Well, there's already a Team Fortress 2 promotion going on for The Witcher, so this seemed fitting enough.